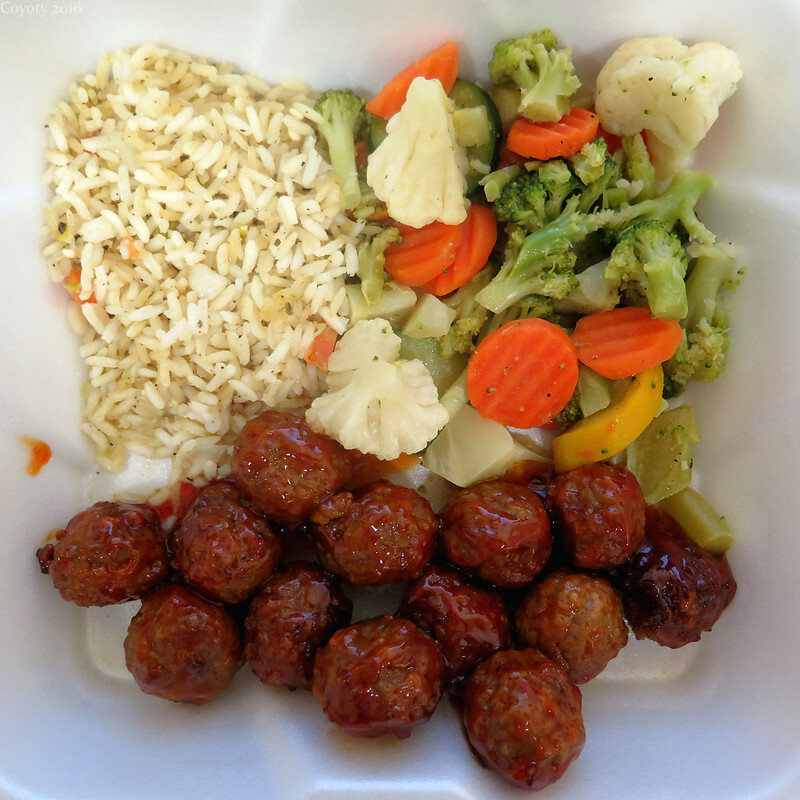 Square meal: Sweet & sour meatballs with rice pilaf and veggies. which would solve the problems of them rolling away! Square meatballs would be meatcubes.